Powder coating is a more economical and longer lasting alternative to traditional wet paint application with far less environmental impact. If you’re comparing these two finishes from a production standpoint, here’s what you need to know. Powder coated items are more durable and last much longer compared to liquid paint. Switching from liquid coating to powder coating has many advantages. From a performance perspective, powder coating is more durable physically and chemically. Most liquid coatings are typically softer than an average powder coating. When coating parts like semi-truck wheel rims, this improved durability and corrosion resistance make trucks safer and longer-lasting. In the oil fields, replacing corroded pipes or junctures is expensive and leads to oil flow downtime. These parts and fixtures are perfectly suited to powder coating and benefit from its performance advantages. If you’ve worked with liquid paint, you know that mistakes can be time-consuming and costly. In comparison, powder coating is generally much easier to apply. Operators require less training to apply a quality finish and mistakes can be easily fixed with powder (as long as you catch them prior to curing). Since rework issues are fewer and coating is usually faster, you can coat more items on a given day. You can expect increased throughput with fewer errors by switching to powder coating. Cost savings are another great benefit to powder coating and often provide a very fast return on investment. Since everyone has different size and shaped parts they need coated, we can determine ROI by calculating a 1 square foot panel cost. For this example, we’ll eliminate the labor and fixed costs and focus on just material costs. This will show the cost savings of powder coating versus liquid coating. Let’s use a 1.4 specific gravity powder at 2.5 mils. The powder costs $4 a pound and we calculate our transfer efficiency at 70%. 192.3/1.4/2.5 = 55.2 coverage at 100% TE. 55.2 * 0.7 = 38.64. $4/38.64 = $0.10. So to get 2.5 mils DFT with 45% solids polyurethane, 1 gallon can cover 289 square feet at 100% transfer efficiency. 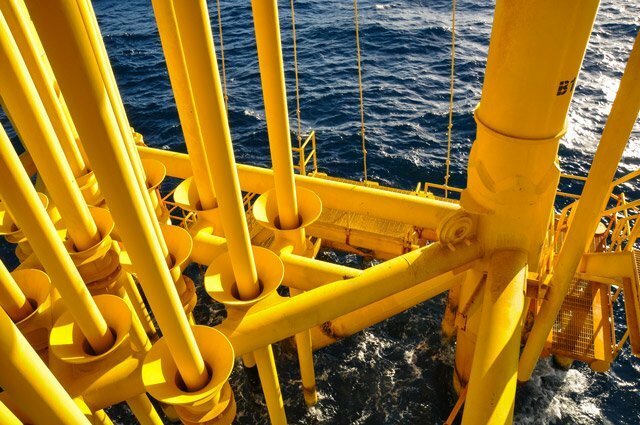 The average price for catalyzed polyurethane is $55, so at 50% transfer efficiency we get:289/2= 144 ft2 coverage and $55/144 = $0.38 paint cost per square foot. It costs $0.38 for a liquid coated 1 square foot panel at 2.5 mils. Note these are only material costs. Liquid coating usually takes multiple passes and has much longer dry time. Flammability and waste disposal are also a concern for liquid coating operations. In this example, the powder costs 3 times less. If a liquid coating operation uses $100,000 a year on paint costs, they can cut their paint expenditure by $50-60,000 being conservative. That difference is the price of a nice medium sized powder coating batch system. 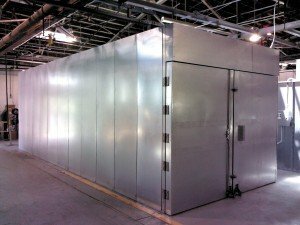 Can I Use Liquid Paint Booths For Powder Application? While it is certainly possible it is definitely not recommended. Liquid booths are geared for a larger airflow pull than their powder equivalents. Too much airflow and you start pulling powder away from the part. This wastes money. Also, if you plan on continuing your liquid operation, you do not want to use powder and liquid in the same booth. It plugs up your filters fast and is a safety hazard if you are using solvent based liquid paint. Looking for more information on powder, powder coating and application techniques? Please visit our growing list of articles on our Resources page. This entry was posted in News on June 23, 2015 by Bruce Chirrey.